Dental crowns are a prosthetic replacement which imitates the form, size, and color of the tooth and is permanently fixed on an implant or an abraded tooth. Their main purpose is the return of functions to teeth or to fix their appearance. 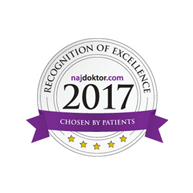 Why choose Dental Center Štimac for dental crowns? 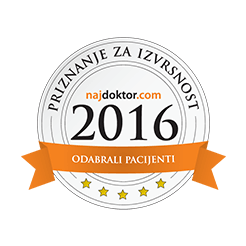 At Dental Center Štimac diagnostic experts will provide top diagnostics and suggest the best solution for dental crowns or dental bridges. Our 10 prosthetics will allow you to choose between high-quality dental materials and with the help of our dental technicians they will provide you with high-esthetic work. The instalment of crowns is a very frequent dentistry procedure which is used as a permanent and efficient solution in cases when the tooth has been weakened and it is necessary to protect and strengthen it or in cases when the natural teeth are so damaged that even fillings cannot completely fill out the lost part. 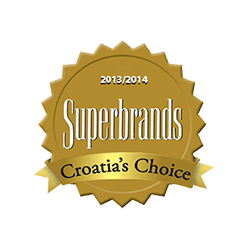 Why to choose Dental center Štimac for the creation of crowns? What material is used to create crowns? How long does the procedure of installing a crown take? The duration of the creation and instalment of crowns depends on the number of necessary treatments (e.g. root canal treatments) besides dental crowns. If there are no other necessary treatments, the treatment of creating the crown starts with abrading the tooth. The time period necessary in order for the crown to be created depends also on the number of crowns. Most frequently, the final work is finished within a week or two after taking imprints. Crowns created completely from ceramics represent the best solution for the perfect teeth aesthetics. Complete ceramic or porcelain crowns with their color, translucency, and transparency (way of deflecting and reflecting light) validate all optical characteristics of a real tooth which results in a crown that cannot be differentiated from the natural tooth. E-max ceramics have the strength three times greater than tooth enamel so the possibilities of such a crown cracking are minimal. When it is attached to a tooth, the crown and the tooth make a complete whole and it is not possible to separate them without cutting the crown. Metal-ceramic and completely ceramic crowns equally satisfy the functional needs of the patient, but if the patient is seeking aesthetic perfection, then the best choice is a non-metal, zircon crown which satisfies the highest standards in aesthetic dentistry. Completely non-metal crowns are therefore used in the frontal region when a very highly sophisticated procedure is needed to be performed on the front teeth. 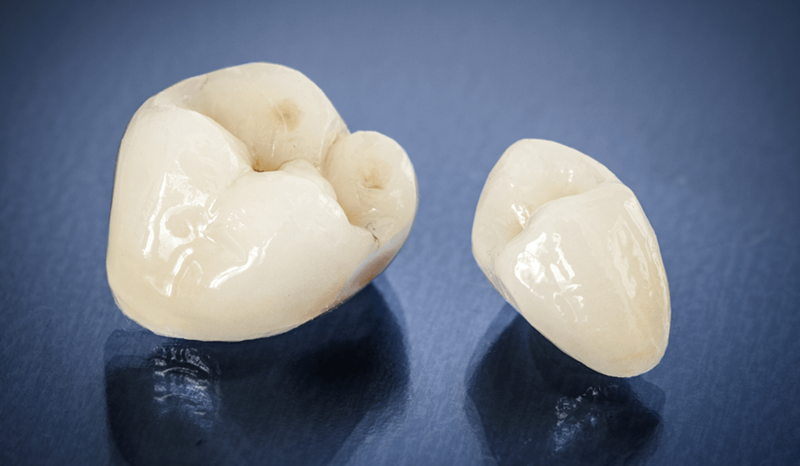 Metal-ceramic crowns represent a type of prosthetic work where the ceramic is connected with a metal basis and these crowns today are a standard in dentistry prosthetics because of their acceptable price, excellent characteristics such as strength and durability and solid aesthetic components. The metal bases ensure stability and strength of the tooth and the ceramic imitates the form and color of the tooth. The price of one dental crown depends on the material that the patient chooses, and we are familiar with metal-ceramic and completely ceramic crowns. 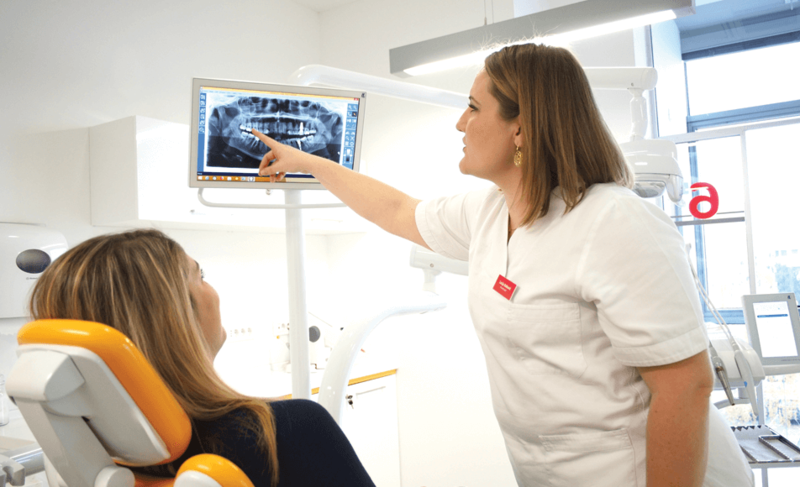 Prices of dental crowns range from € 203 to €339. 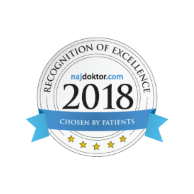 In order to get a precise price quotation, it is definitely best to have your first examination where, along with a detailed diagnostics, we will see what treatments are best for you, and according to this, the quotation will be made for you. Since I live in Germany, it was very important to me to finish the work within a certain time period. We arranged an appointment through pictures and in 5 days I received my new teeth, new smile and all thanks to the amazing doctors in Polyclinic Štimac! I am thrilled with my veneers and I definitely recommend them to everyone! Crowns for teeth are one possible solution when we talk about aesthetics of teeth, but it isn't the best because a significant part of the tooth is abraded for a crown. Veneers can be used for smaller aesthetic flaws, while crowns are recommended in cases when the strength of the tooth is not as it used to be. 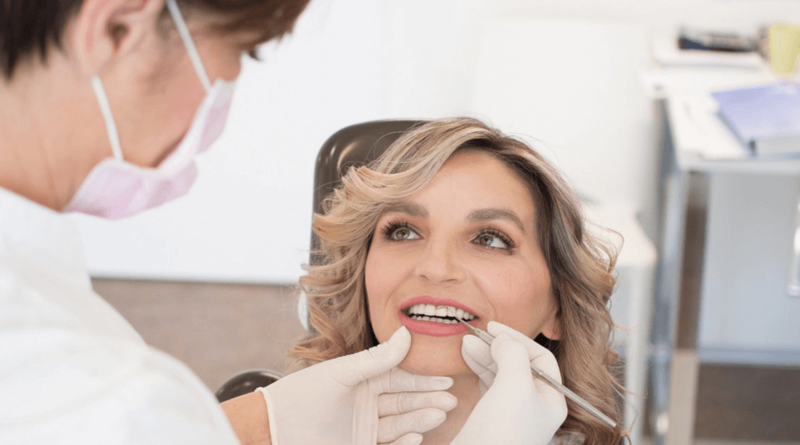 Before installing on the natural teeth, the procedure for installing crowns means the prior abrading of the tooth for which the imprint will be taken and the crown will be created. The complete treatment is completely painless because the patient receives anesthesia in order to not feel any pain and to be able to relax. After the abrading, a very precise imprint of the tooth is taken along with surrounding tissues and sent to the dental laboratory within our center where our dental technicians will create the ceramic crown. After the ceramic crown is created, the patient arrives for a probe after which a date is arranged for the permanent cementing, when the entire process of creating the crown is finished. Crowns are a permanent prosthetic replacement and under the term permanent, we mean for a period of 10 to 15 years. The duration of the crown is different from patient to patient and depends on a series of factors such as the quality of the material, the experience and skill of the dentist, the correctly created imprint and the relation with the teeth in the opposite jaw and regular checkups. In order for the duration of the crown to be as long as possible, it is important to spend enough time on oral hygiene every day. For the correct oral hygiene of the oral cavity, it is recommended to use a toothbrush, floss, rinsing water and an inter-dental brush. The regular and correct cleaning of the teeth can impact the duration of the crown. Other than the already mentioned, the duration of the crown also depends on genetics and also the gums and bones. With age, there can be receding of the gums but also the bones which can lead to a bare root or the mobility of the natural teeth which the dentist cannot foresee. It is definitely important to mention that it is good to avoid habits such as nail biting, biting pencils, ice and other hard material which is not food and to avoid exceptionally strong pressure on teeth which can break and destroy them. The tooth under the crown cannot decay in the sense of a cavity, but it can become infected. In the event that there is an infection and the tooth starts hurting, there are two possibilities. One is to remove the crown and to begin treating the tooth and the other is to drill the crown, get to the center of the infection and begin treatment. If there is an infection of the gums, it is very important to see your dentist, discover what the cause is and remove the cause of the infection. Most frequently, the patient after the examination receives an antibiotic which calms the infection down and there is no need for further treatment. Polyclinic Štimac gives a warranty of 5 years on prosthetic work. 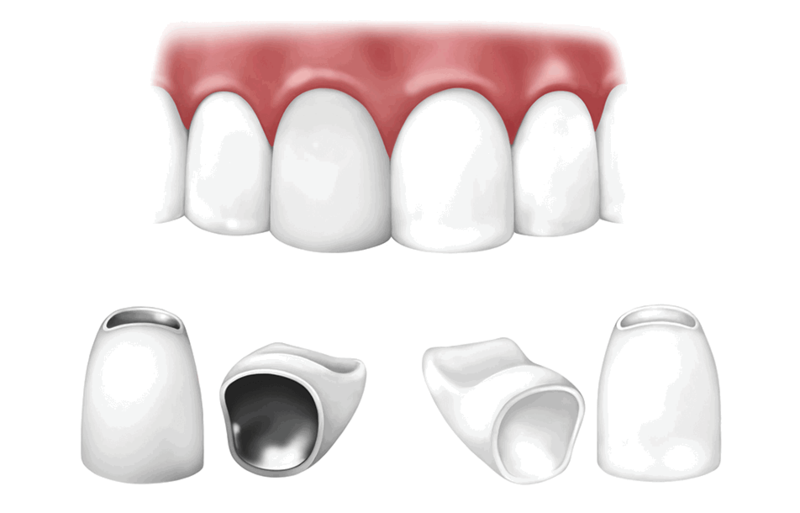 The term prosthetic means the cracking of the crown, bridges or veneers. It is important to mention that regular checkups are a key factor in the warranty. Checkups once a year for all patients is mandatory, even when it concerns smaller dentistry work, due to timely prevention and protection of dental health. 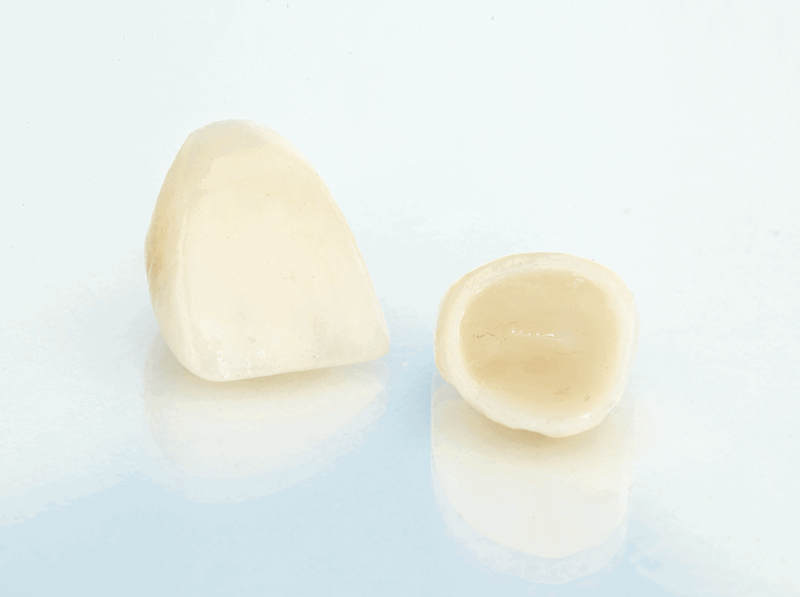 Metal-ceramic and non-metal ceramic are excellent material for the creation of fixed prosthetic replacements are very strong meaning you can bite and chew just as with your natural teeth. Metal-ceramic is the oldest material while non-metal ceramic is a new material which offers the highest possible level of aesthetics. The greatest flaw of metal-ceramic is that through the years, it can begin to show the metal which means a gray edge can be visible along the gums, which is not acceptable for many patients. Besides this, the recommendation our dentists often give to patients is to use non-metal ceramics for the frontal region and metal-ceramic for the back. Zircon prosthetics today are considered the top of aesthetic dentistry. All replacements with zircon appear completely natural. Zircon is a modern ceramic replacement for metal substructures used under the porcelain in the crowns. Zircon is airy which gives it a light and natural appearance and zircon crowns are made with CAD-CAM technology. With the greater use of non-metal zircon ceramics, the doors are opening for using CAD-CAM technology which is foreseeing great changes in creating perfect teeth, aesthetically and functionally.